In Spain, Physiotherapy is a discipline included in the Law for the Regulation of Health Professions. According to the World Confederation for Physical Therapy, this discipline offers services to individuals and populations in order to develop, maintain and restore movement and maximum functional capacity throughout life. This includes providing services in cases where movement and function are threatened by injury, aging, illness, disorder and environmental conditions or factors. Functional movement is considered fundamental for an optimal state of health. Physiotherapy deals with identifying and maximizing the potential of quality of life and movement within the spheres of promotion, prevention, treatment, habilitation and rehabilitation. This encompasses physical, psychological, emotional and social well-being, and involves the interaction between the physiotherapist, the patient, other health professionals, families, caregivers and communities, in a process that assesses the potential for movement and the agreed goals, using the knowledge and unique skills of the physiotherapist. According to the World Health Organization, Osteopathy is a therapeutic discipline initially created by Andrew Taylor Still, a surgeon from the United States of America, in the mid-nineteenth century, based on manual contact for diagnosis and treatment. It emphasizes the structural and functional integrity of the body and the intrinsic tendency of the same for self-healing. The osteopath uses a wide variety of therapeutic manual techniques in order to improve physiological function and/or support homeostasis (or self-regulation); the latter is altered due to the presence of dysfunctions in the different components of the systems of the human body; articular and myofascial skeletal structures; and related vascular, lymphatic and neural elements. During consultation, initially the professional undergoes a complete and personalized patient examination, which is responsible for evidencing all the relevant mechanical alterations present at the level of locomotor system, visceral and cranial system, in relation to the reason or reasons for his visit. After this evaluation, in which the bases of the therapeutic discipline are taken into account, the osteopath describes the diagnostic approach, to subsequently carry out the most efficient treatment possible based on current clinical knowledge. 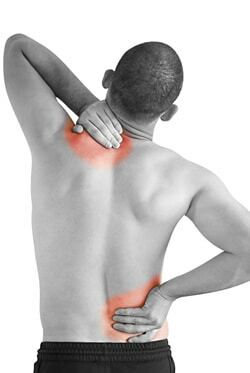 In our clinic we offer both physiotherapy and osteopathy treatment. As a complementary application to the approach of the different medical specialties: traumatology, rheumatology, neurology, odontology, otorhinolaryngology, digestive, gynecology and obstetrics, pediatrics, geriatrics, psychosomatic medicine, integrative oncology (unique and exclusive action on the complications of the process and treatments made). As specific methods and techniques: Clinical Pilates, Specific Adjustment Technique (better known as SAT), conservative and invasive myofascial approach. As a tool for specialized attention in dancers: prevention and treatment of injuries, performance improvement in dance performance.